Purchase at least RM20 worth of Ambi Pur AND Febreze products in a single receipt from any AEON store and attach you original receipt. Complete the question & slogan. 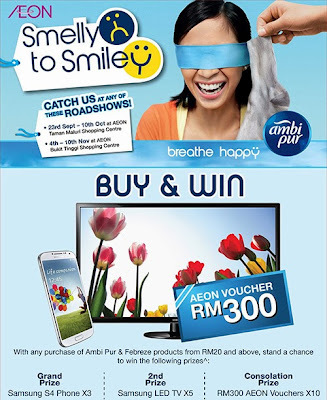 Visit Ambi Pur Facebook fan page for more details.